Moviewall - Movie Posters, Wallpapers & Trailers. 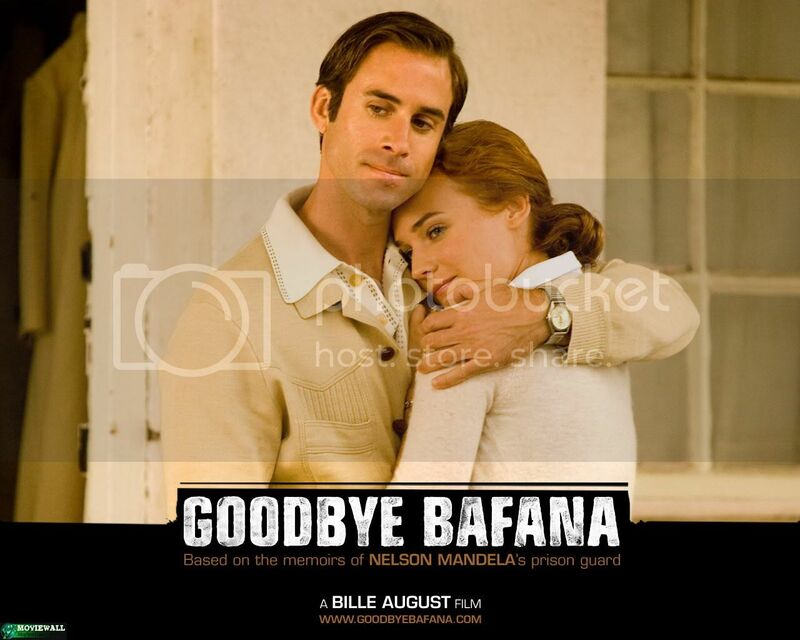 : Goodbye Bafana. South Africa - 1968. 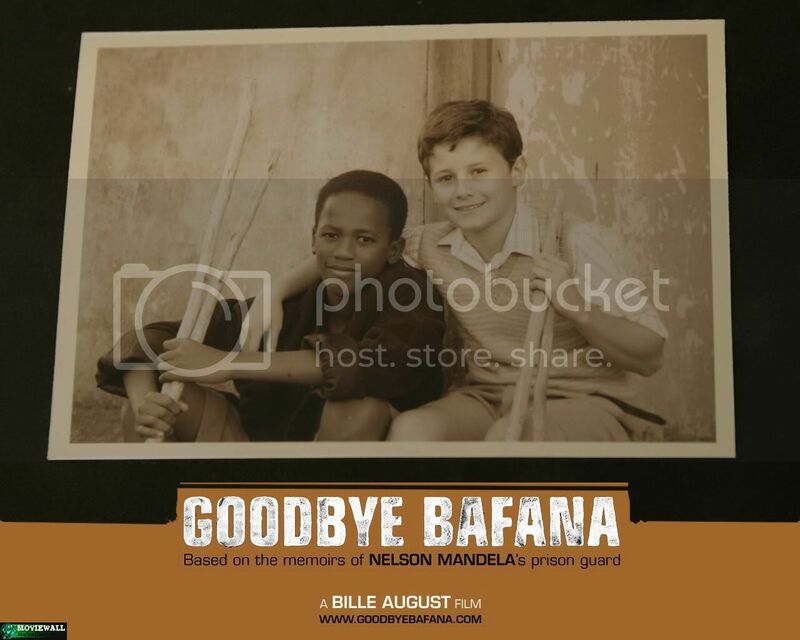 Twenty-five million blacks are ruled by a minority of four million whites under the brutal Apartheid regime of the Nationalist Party Government. Black people have no vote, no land rights, no rights to freedom of movement, to own a business, to housing or education. 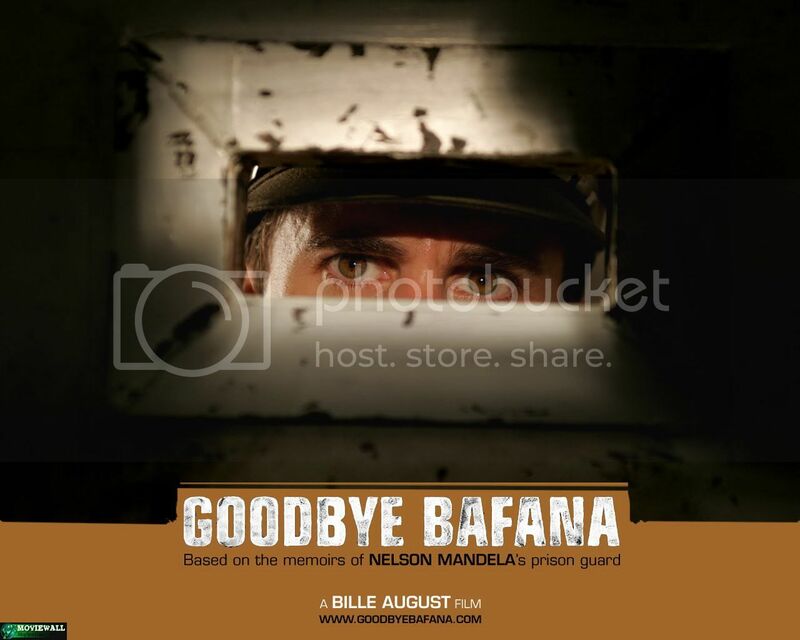 Determined to retain power, whites ban all black opposition organisations, forcing their leaders into exile or imprisoning them for life on Robben Island. James Gregory, a typical white Afrikaner, regards blacks as sub-human. 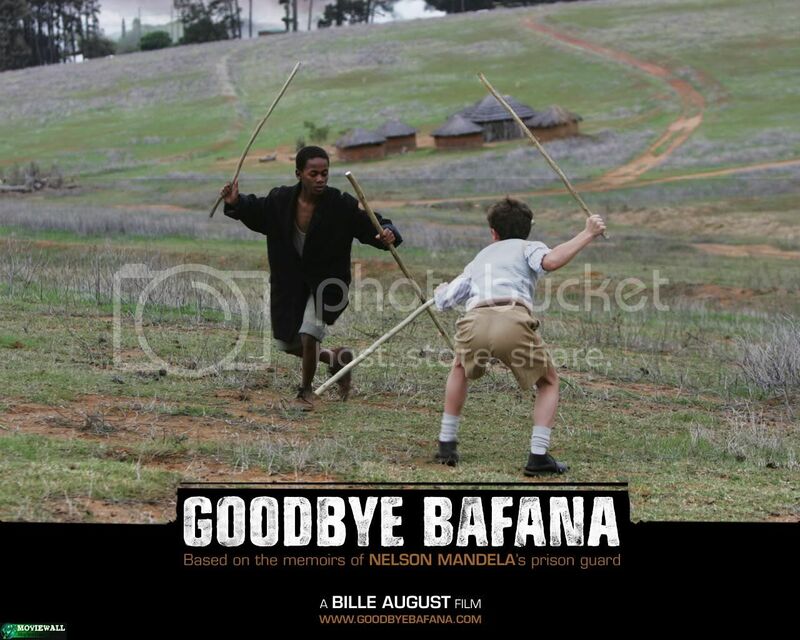 Having grown up on a farm in the Transkei, he learned to speak Xhosa at an early age. 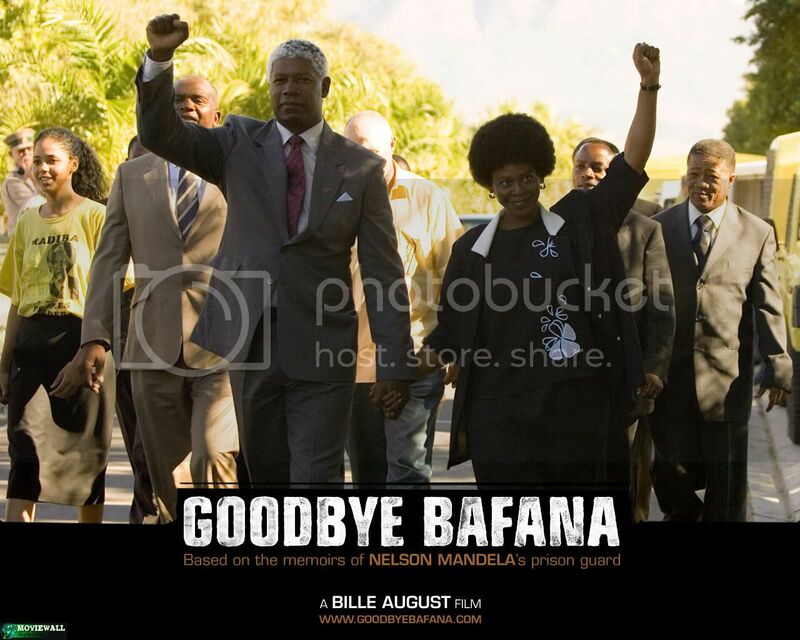 This makes him an ideal choice to become the warder in charge of Mandela and his comrades on Robben Island. After all, Gregory speaks their language and can spy on them. However, the plan backfires. Through Mandela's influence, Gregory's allegiance gradually shifts from the racist government to the struggle for a free South Africa. 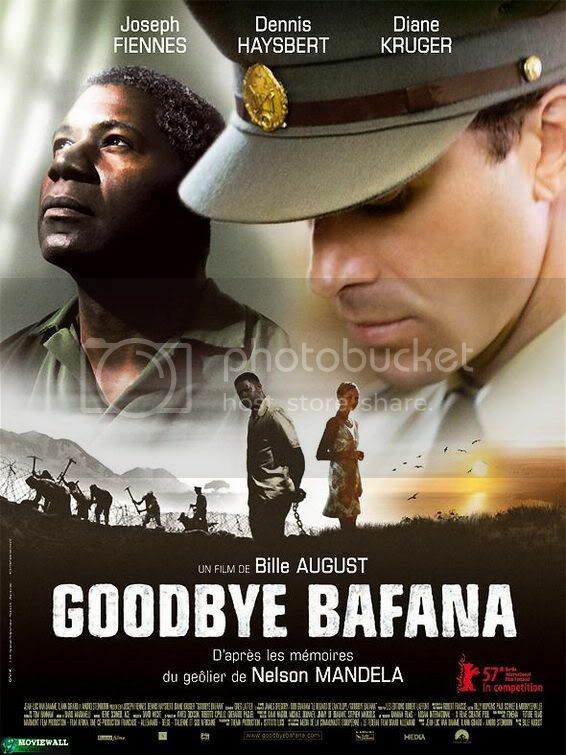 Goodbye Bafana tracks the unlikely but profound relationship between these two men. 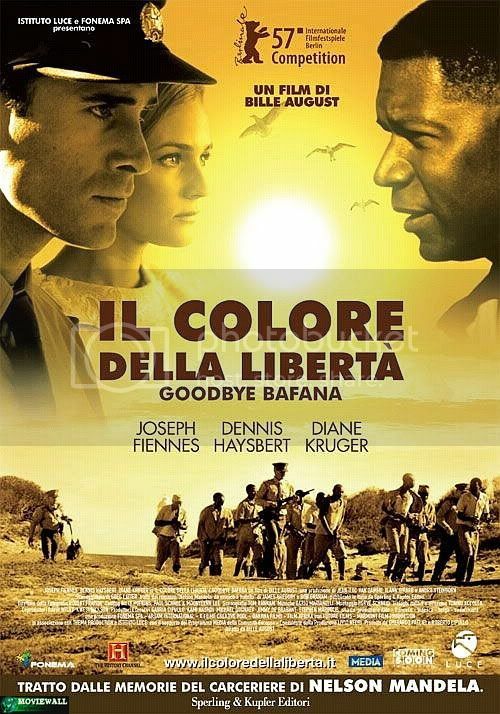 Through their unique friendship, we witness not only Gregory's growing awareness of man's inhumanity to man, but South Africa's evolution from Apartheid to a vibrant democracy. 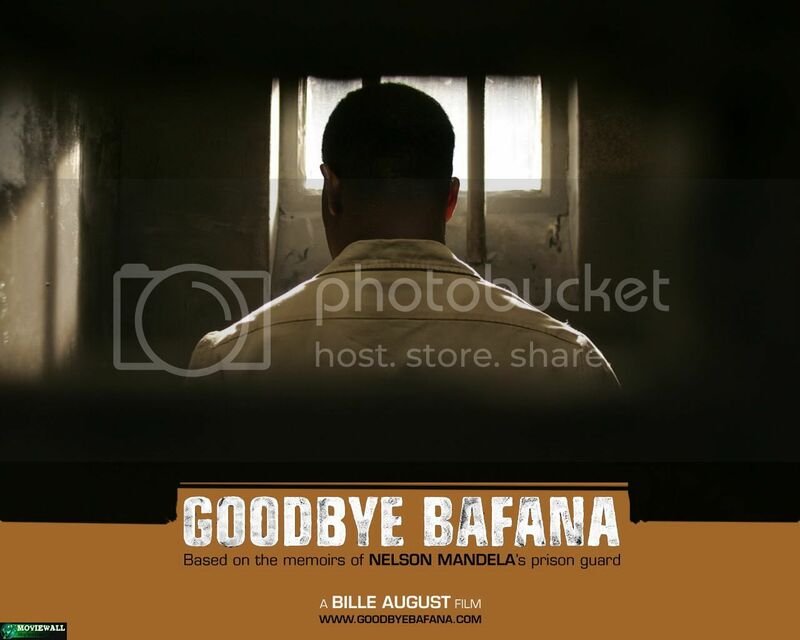 The story, which documents how Mandela became the most inspirational political figure of the modern world, poses the questions: Who is the prisoner? And who sets whom free? 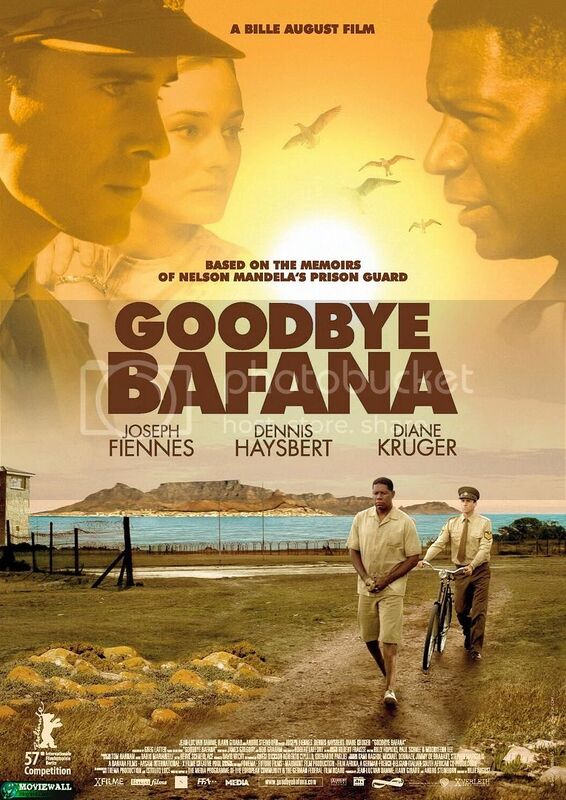 Starring: Dennis Haysbert, Diane Kruger, Joseph Fiennes, Faith Ndukwana, Terry Pheto. Writers: Greg Latter, Bille August. Country: Germany, France, Belgium, South Africa, Italy, UK, Luxembourg. Release Date: April 12th, 2007 (Germany).